Open 24/7, ampm locations combine a large, open convenience store with the Wild Bean Café concept (at select large format stores). 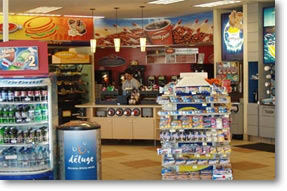 Powerful, distinctive branding is the cornerstone of ampm's high visibility in the convenience-store industry. By combining top brands with our own unique, in-demand offerings, ampm franchises will continue to lead in the convenience-store industry. Confidence - Investment in the BP and ampm brands yield the confidence of knowing you're aligning yourself within a dynamic business model. New franchisees participate in our comprehensive training program developed to teach you how to operate your business utilizing a combination of classroom instruction and self study training in an ampm facility. The program includes everything from gasoline marketing to customer service and food safety. None of the communications made through this web page should be construed as an offer to sell any ampm franchise in, nor is any such communication directed to, the residents of any jurisdiction requiring registration of the franchise before it is offered and sold in that jurisdiction. No ampm franchises will be sold to any resident of any such jurisdiction until the offering has been exempted from the requirements of, or duly registered in and declared effective by, such jurisdiction and the required Uniform Franchise Offering Circular (if any) has been delivered to the prospective franchisee before the sale in compliance with applicable law. If you have any questions concerning the registration status of ampm franchises in your jurisdiction, please fill in the Franchise Gator inquiry form. The materials on the Site describe ampm's franchise offering. If you wish to be considered, we ask that you please complete and submit an expression of interest via our Franchise Inquiry Form. Neither this web site, nor your submission of an expression of interest, constitute an offer to sell or to purchase a franchise, nor shall it create any contractual or other obligation to one another. Please note this franchise is only accepting inquiries from FL, GA, IL, IN, OH, KY, PA, or from outside of the United States. Interested parties should have at least $250,000 to invest. 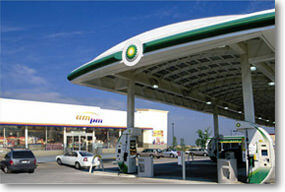 BP ampm is currently accepting inquiries from the following states: Pennsylvania, Ohio, Kentucky, Indiana, Illinois, Georgia, Florida.